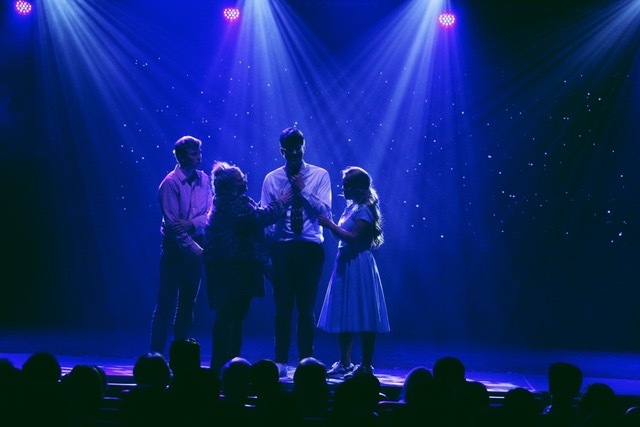 Despite Thursday’s disappointing basketball loss, Lipscomb didn’t hesitate to “Bring the Family” to the 56th annual Singarama show. Students gathered together in Collins Alumni Auditorium on Thursday, Friday and Saturday afternoon to see the first of three Singarama shows. “The Wonder Years” show, directed by Myron Sailors, took home “best theme” on Thursday night, “best music” on Friday night and “best staging” on Saturday afternoon. The two other groups are titled “Good Times” and “Perfect Strangers.” Only one show remains on Saturday night, which will reveal the “Sweepstakes” winner. The winning group for both nights was comprised of the social clubs Phi Sigma, Theta Psi and Kappa Chi, as well as several “friends.” Junior Emma Andrews said she joined “The Wonder Years” because of her love for performance. Andrews said winning was due to the great team the show has working together. The Saturday matinee will award for “staging,” and the coveted Singarama Sweepstakes award will honor its winner Saturday evening. This story was updated after Singarama show three on Saturday, April 6.